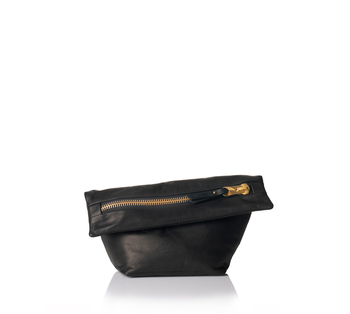 Big Zipper Clutch made in soft waxy black leather. Zipper in brass finish from YKK high end line. 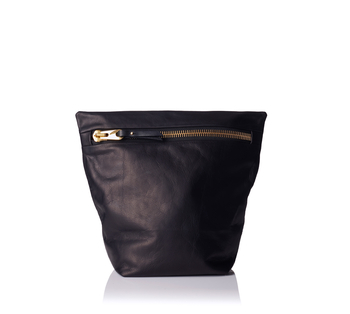 Cotton lining and a leather pocket on the inside.